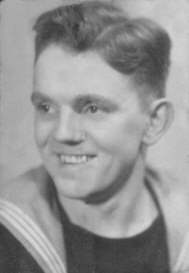 Les Harris, Air Mechanic (L) 1st Class. 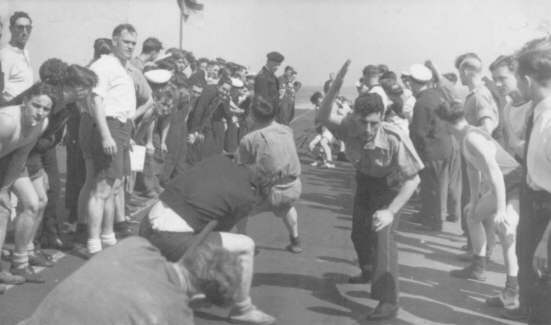 Served on HMS. Vengeance from November 1944 to March 1946. 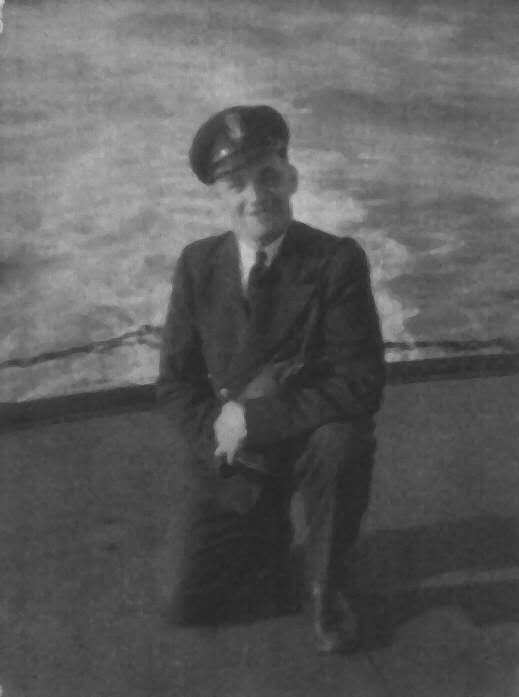 Petty Officer (name unknown) aft end of HMS. Vengeance. Back row: (left to right) Les Harris (Air Repair), the PTI and Harold 'Curly' Parkin (L/Telegraphist). Kneeling: Bert Hern (Torpedoman). 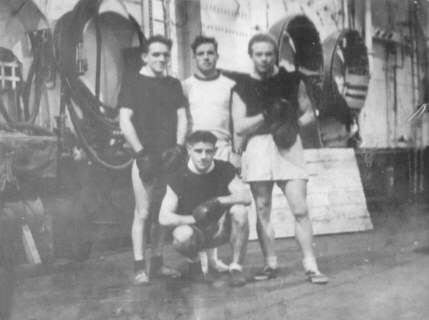 Photo taken in the Hangar Deck (gymnasium) of HMS. Vengeance. 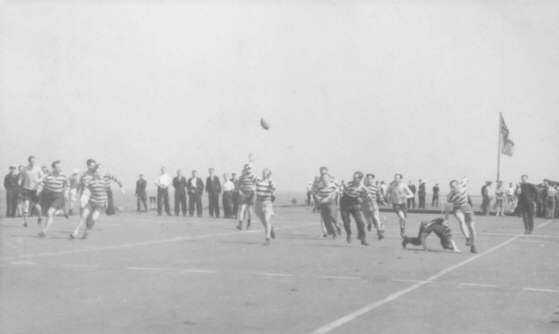 Rugby match on the flight deck of HMS. Vengeance. 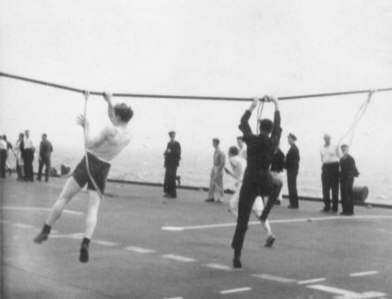 Physical Training, flight deck of HMS. Vengeance. 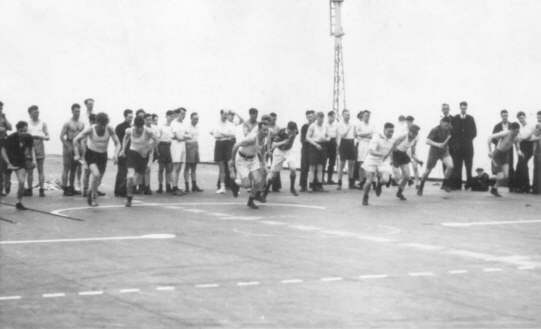 Sports day, flight deck of HMS. Vengeance. 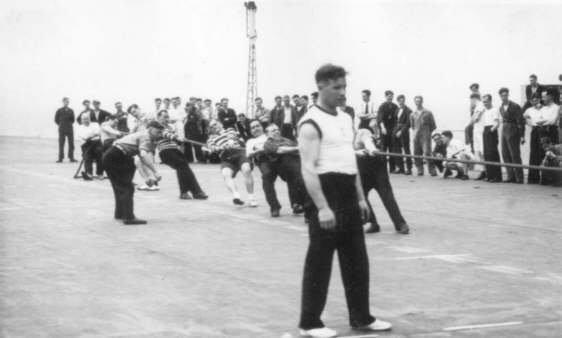 Tug of war, flight deck of HMS. Vengeance. 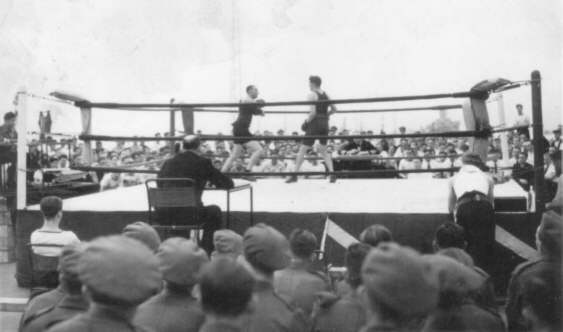 Boxing match, flight deck of HMS. Vengeance. 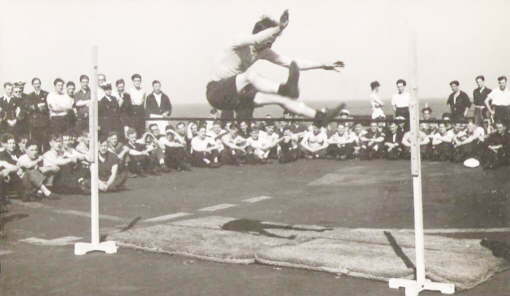 High Jump, flight deck of HMS. Vengeance. 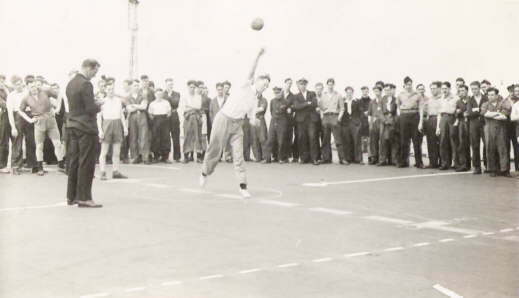 Discus throw, flight deck of HMS. Vengeance. 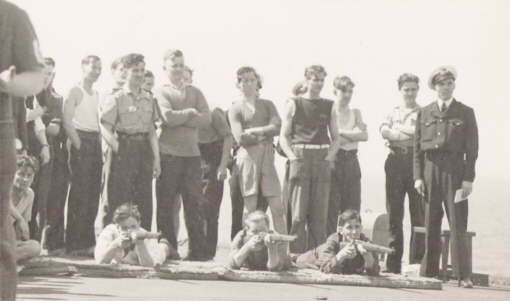 Rifle shooting, flight deck of HMS. Vengeance.